There are many books to help you choose a career, but few to help you excel in the workplace once you are working. Over the course of a lifetime, people can spend 80,000 hours on the job. With this much time invested, author Donna Dunning asserts that your career should be interesting, motivating and rewarding. And in our competitive, rapidly changing society, you need to know how to be effective and competent at work or you may find yourself unemployed or passed over for promotion. Focusing on day-to-day behaviour and providing practical tips and strategies, 10 Career Essentials becomes your personal career coach by showing you how to work effectively, get recognition and steer your career in the direction you want to go. The ideas such as optimizing your outlook, exceeding expectation and thriving in uncertainty may sound simple, but applying them takes skill and practice. 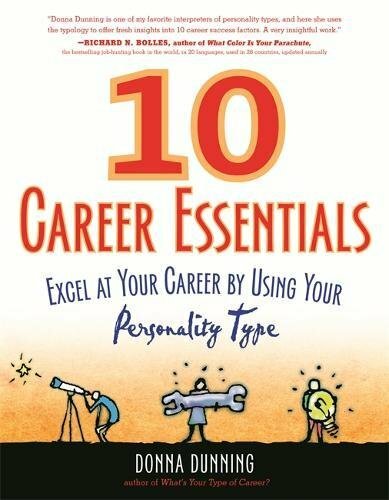 10 Career Essentials provides the key self-assessment tools and tips to stimulate learning and improve your ability to implement your personal career strategy to its fullest.